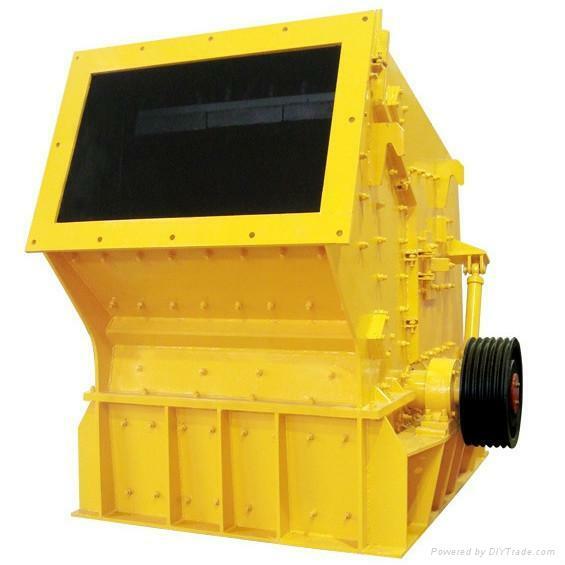 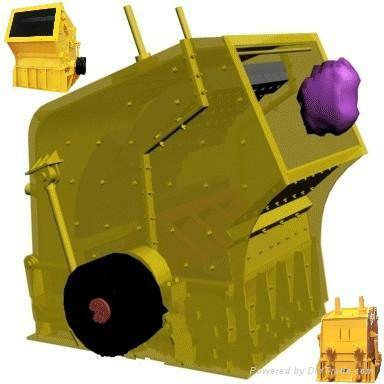 This impact crusher machine is a breaking equipment used for breaking materials by a crushing. 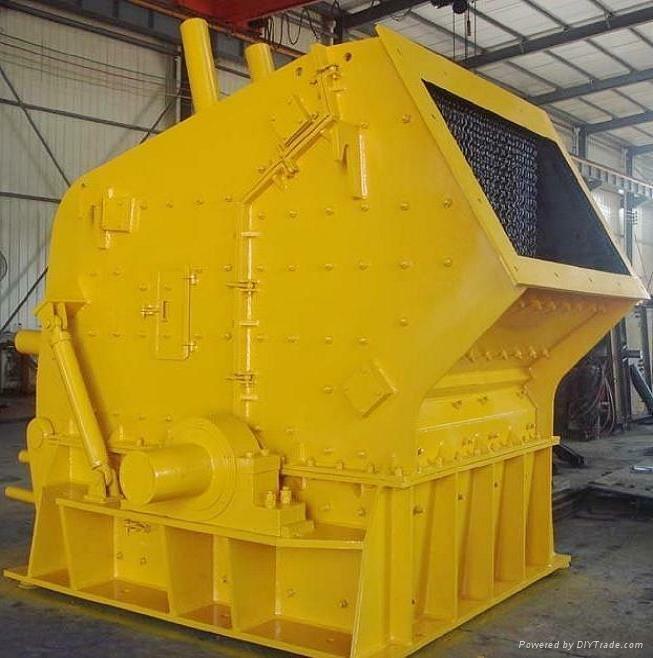 The device takes the rotorto do high-speed rotatory movement under the lead of the motor; when the materials entered the functional section of plate hammer, they experiment plate hammer's high-speed crushing and are throwed constantly to the reaction device installed on the rotor , then spring back to the functional section of plate hammer from the back board, and then are crushed again; the materials from big to small in the shredding breach to be broken repeatedly. 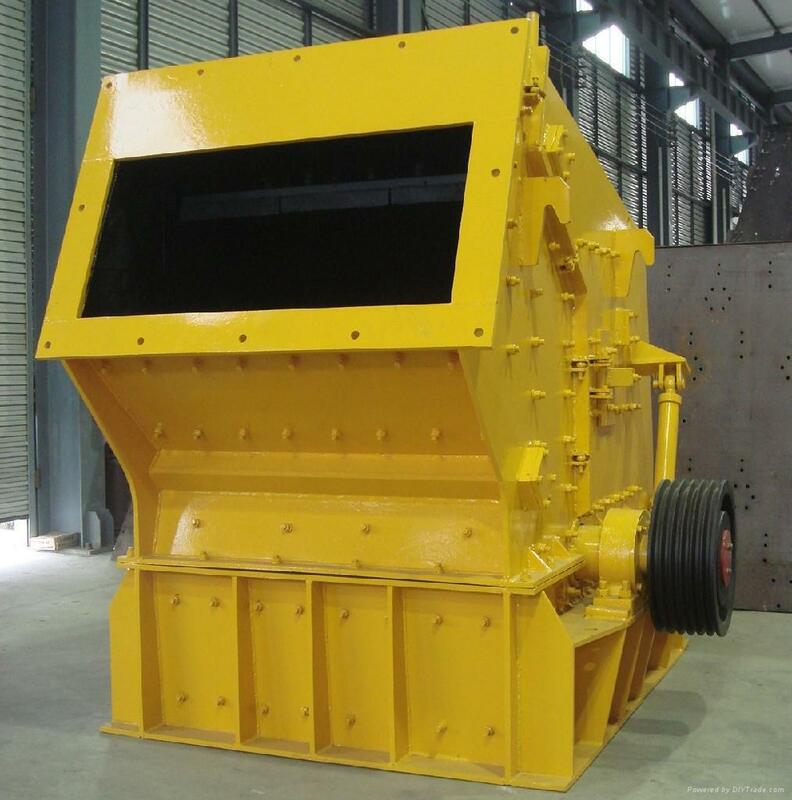 Until the materials are broken to the demanded grain size, discharged from the bottom of the machine. 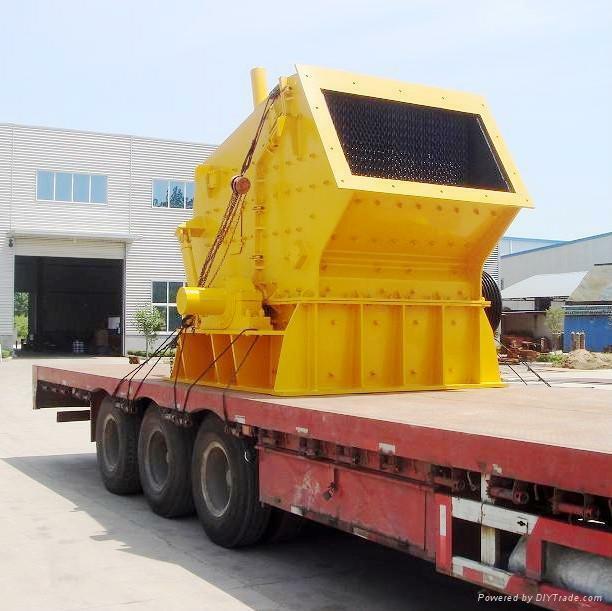 Our impact crushers are widely applied to all kinds of materials crushing, processing and shaping, such as basalt, granite, cobble stone, limestone, etc.